A tradition of throwing their flowers out into the audience. Mathias aimed for and succeeded in throwing his to this absolutely thrilled young fan in Breckenridge today. 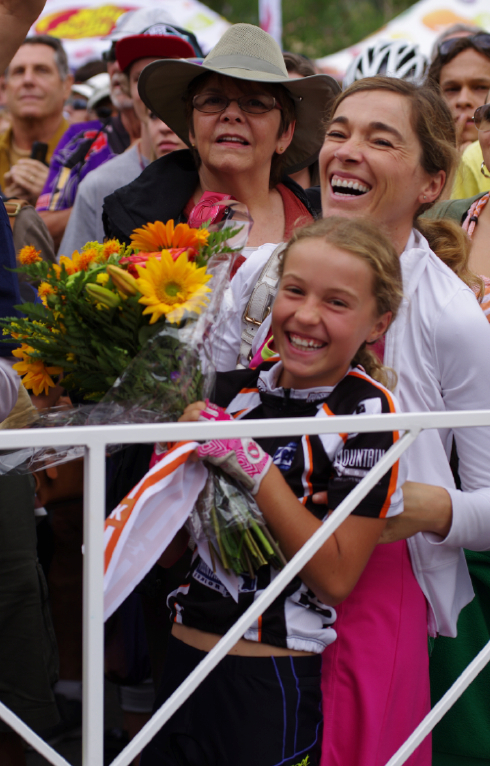 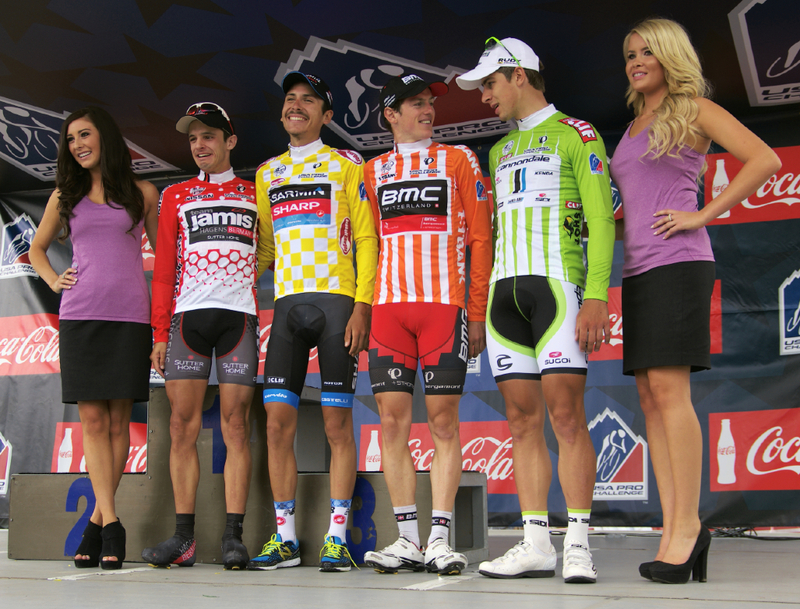 Introducing the Podium Girls for the 2013 USA Pro Challenge - Candice Wurster and Courtney James. 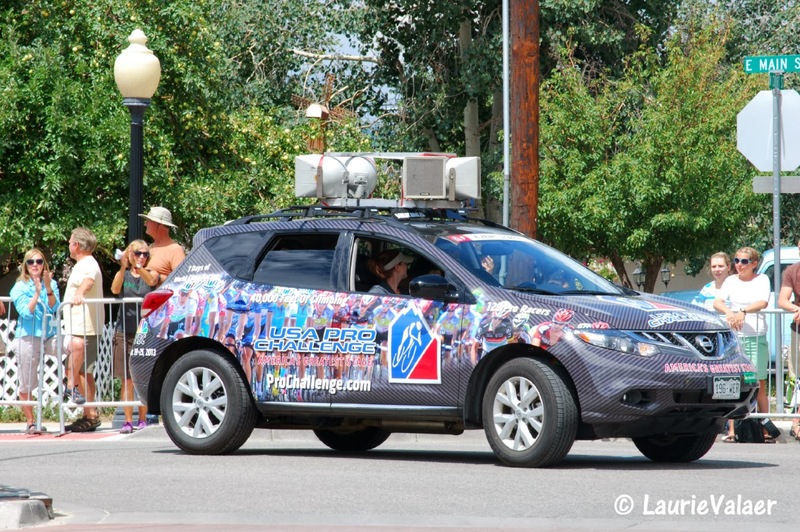 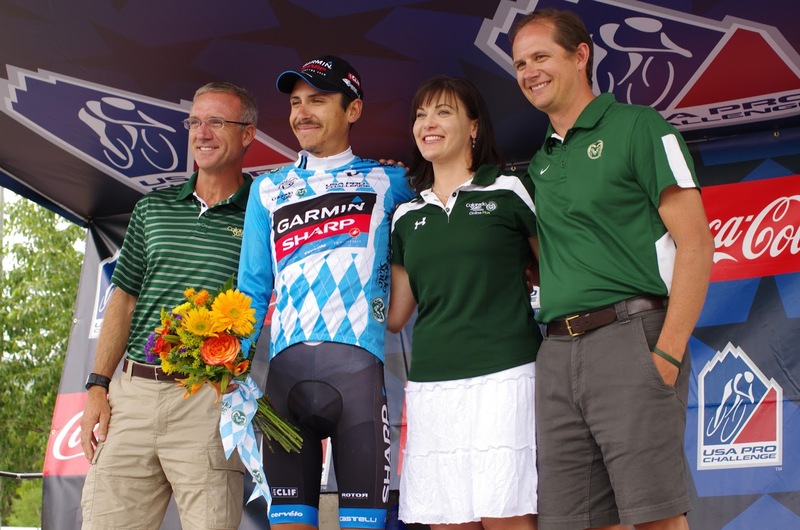 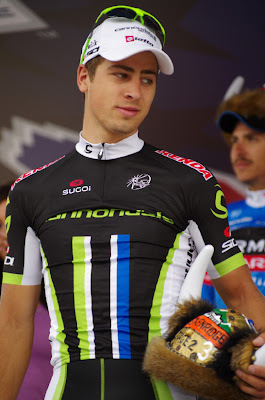 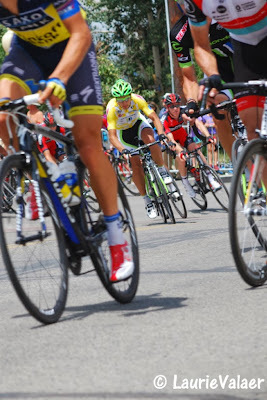 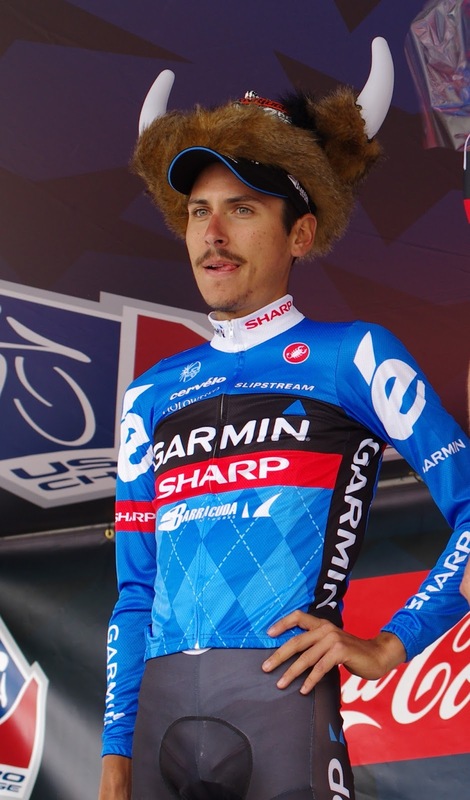 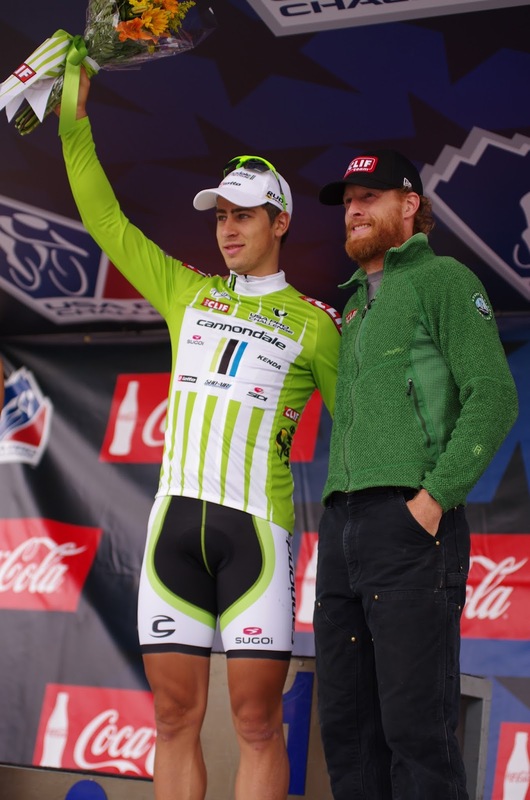 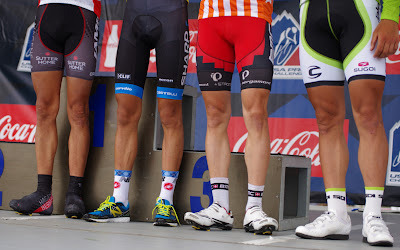 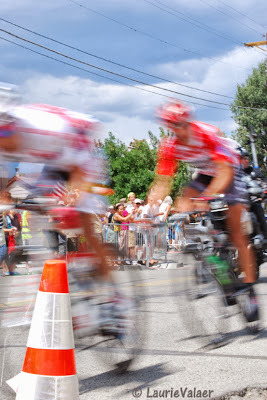 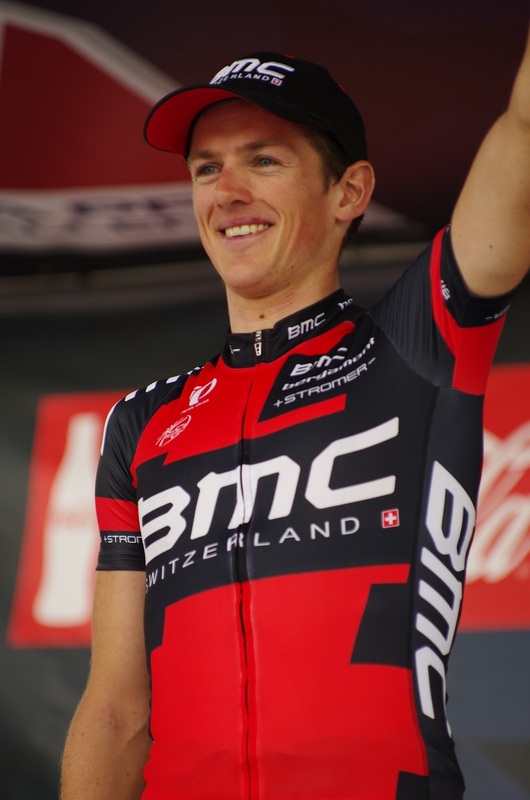 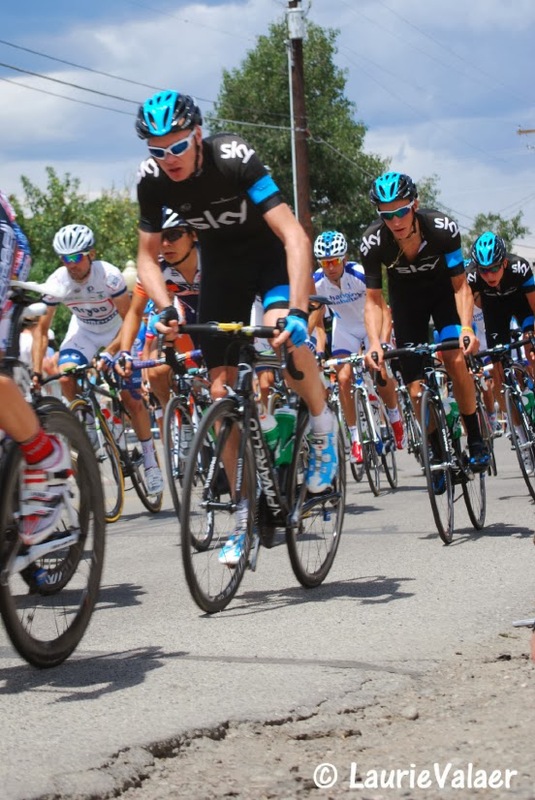 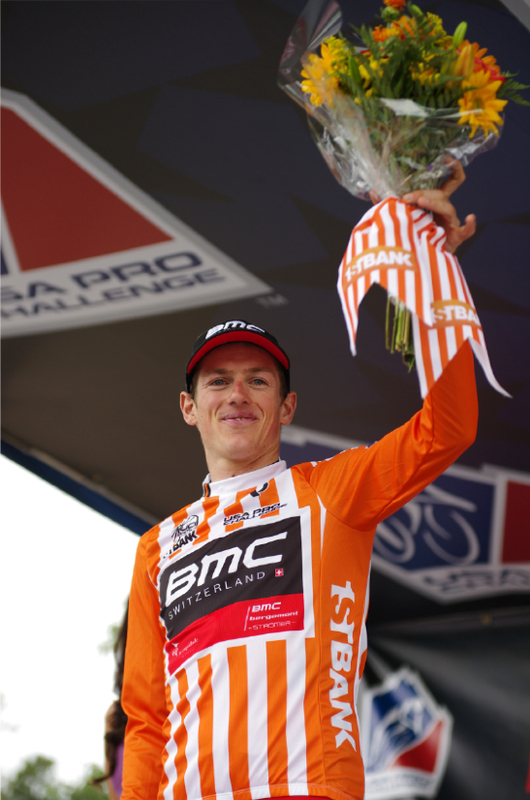 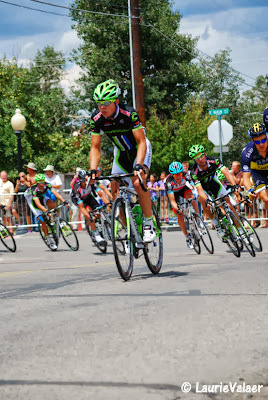 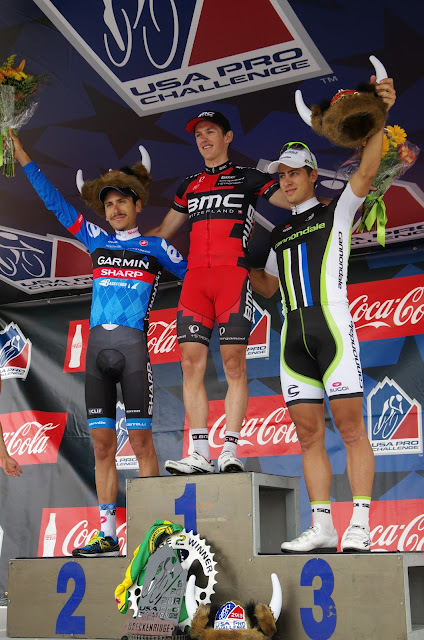 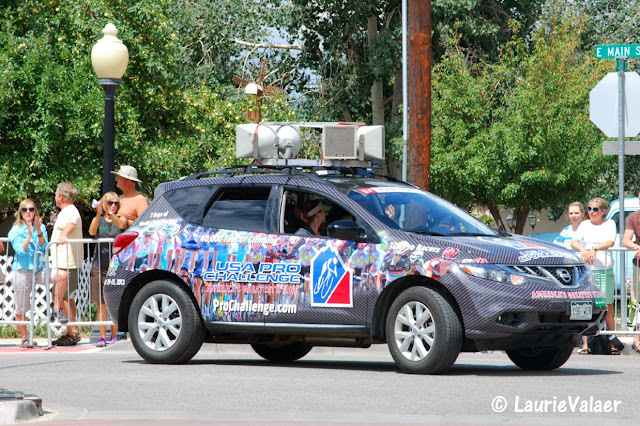 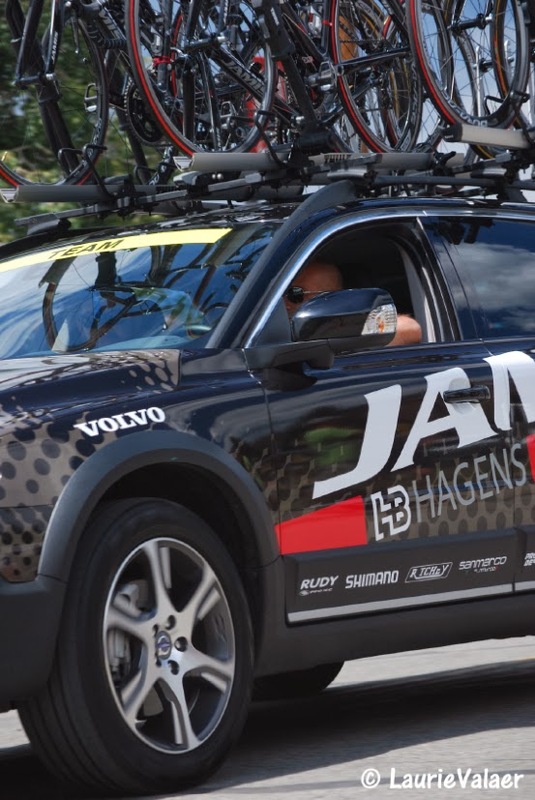 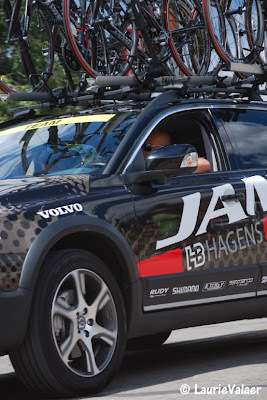 Videos to watch: Race Radio: USA Pro Challenge Stage 2, Race Radio: USA Pro Challenge Stage 1, with Joe and Frankie. 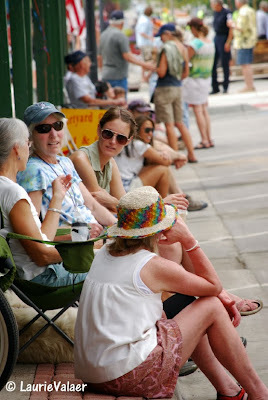 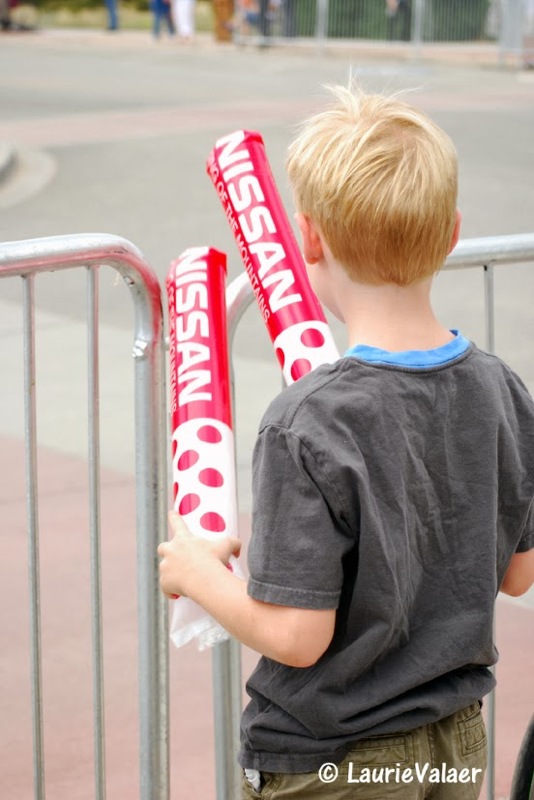 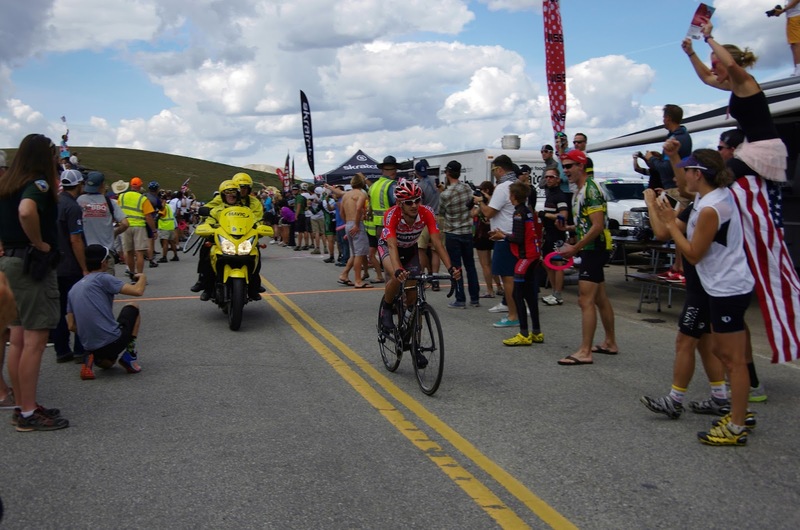 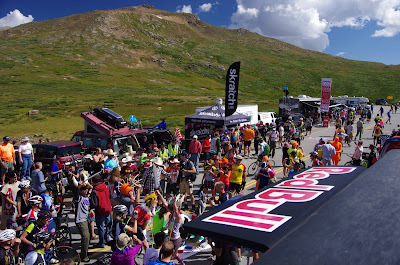 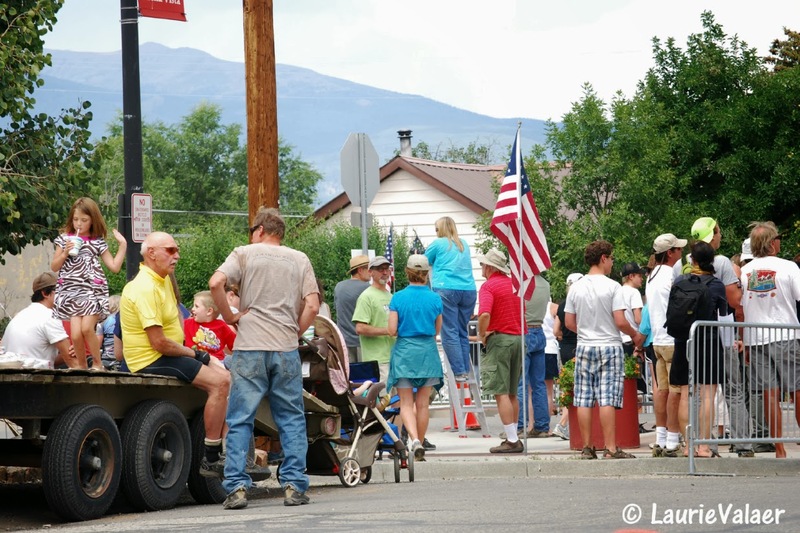 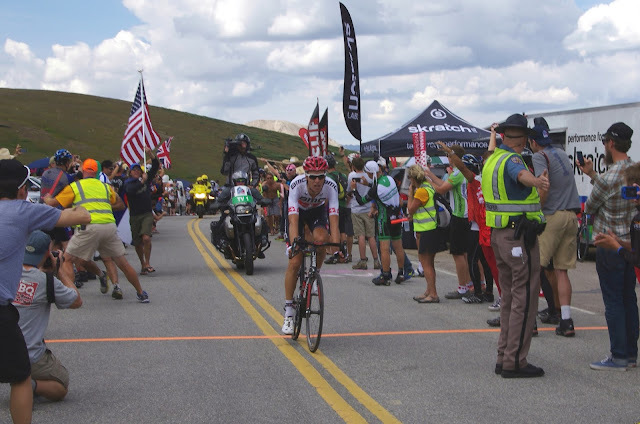 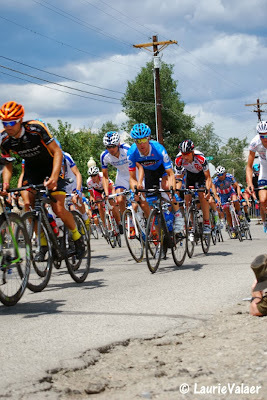 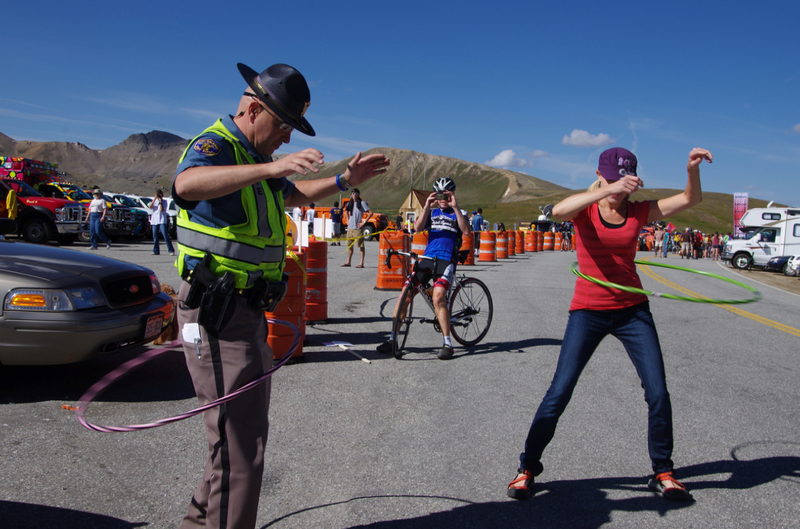 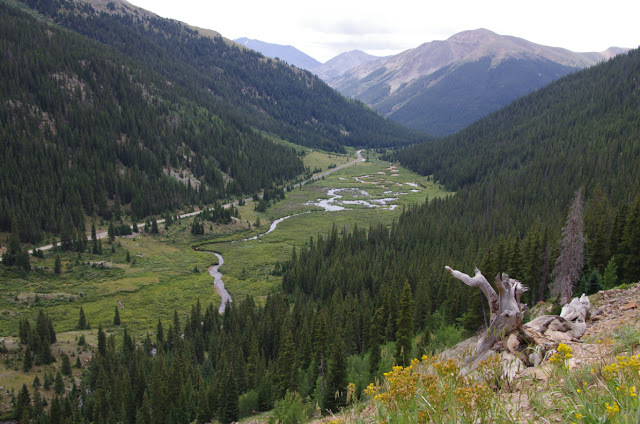 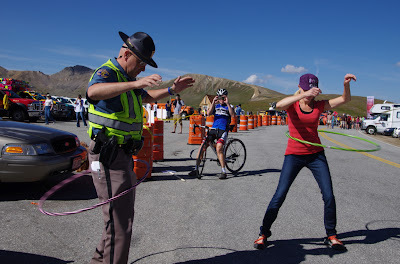 Read the Pedal Dancer® FAN GUIDES to Stage 3 from Breckenridge to Steamboat. 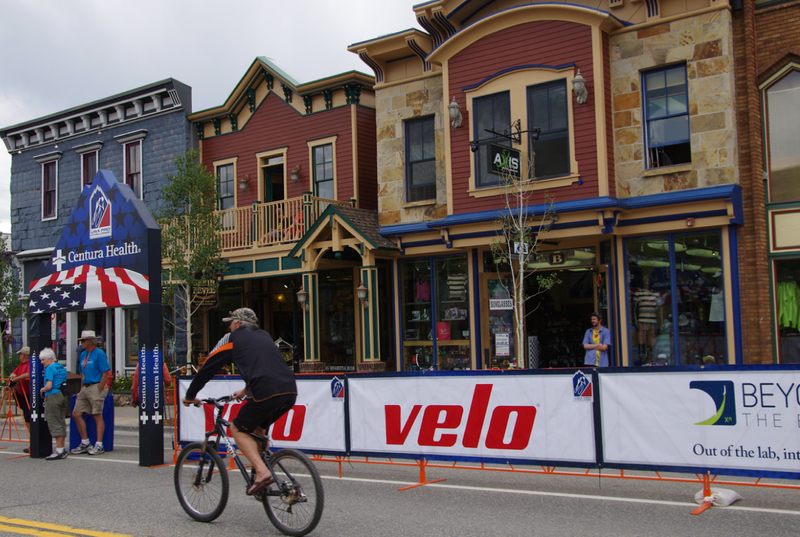 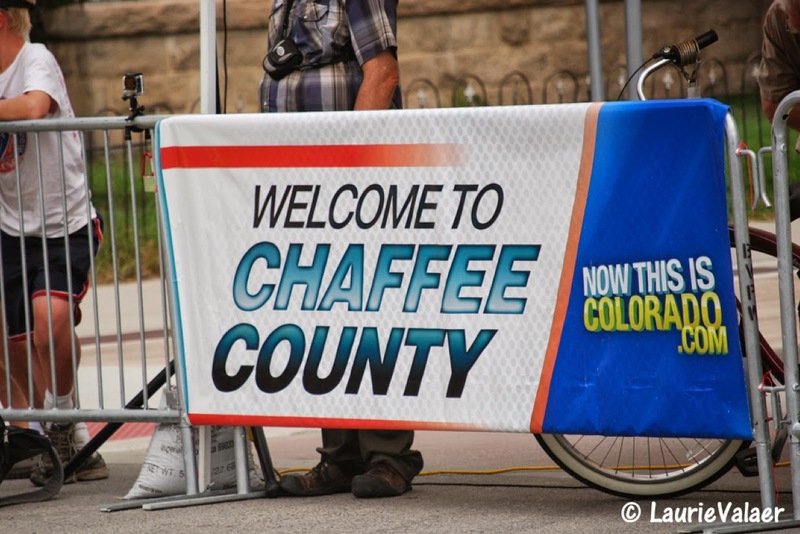 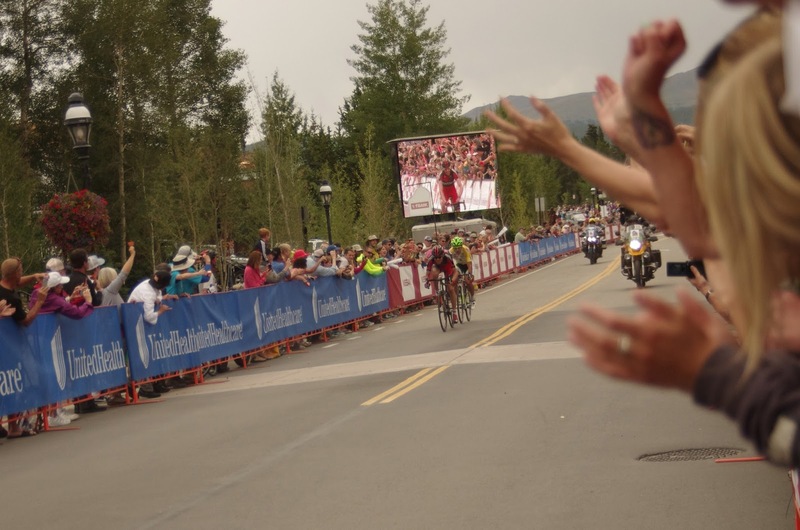 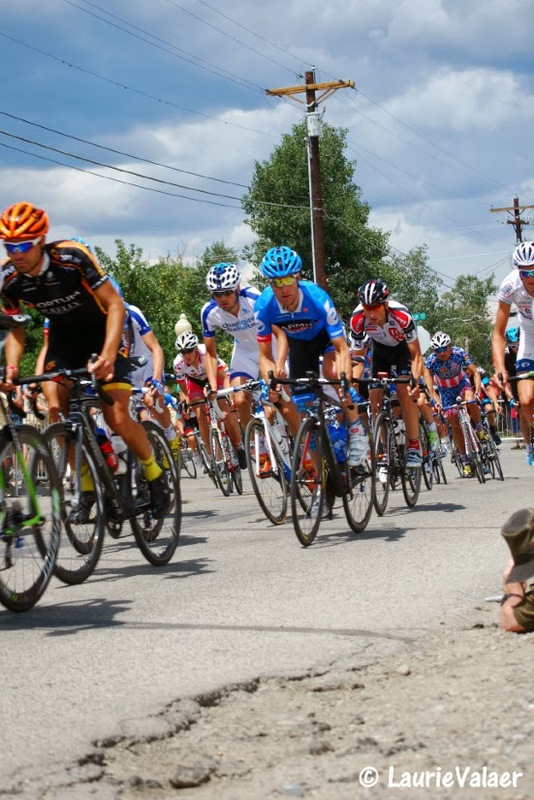 Stage 3 Start: USA Pro Challenge in Breckenridge or How & Where to Watch the USA Pro in Breckenridge. I will be in Breckenridge tomorrow, see you there.